Some authorities recognize a variety of subspecies of S. magister, but the SSAR names list that I follow does not recognize any, at least until further research provides more evidence. From a little before dusk until a couple of hours afterwards, I joined Arizona herp expert Roger Repp and another couple on a herp hike in this beautiful area. 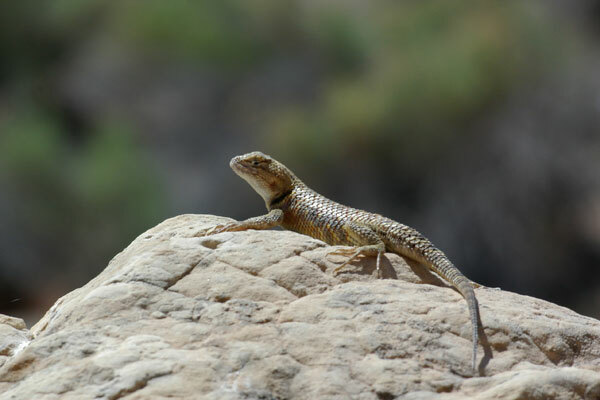 We didn't find any of the rarer species we were hoping for, but we saw many a fine lizard, including this youngster. 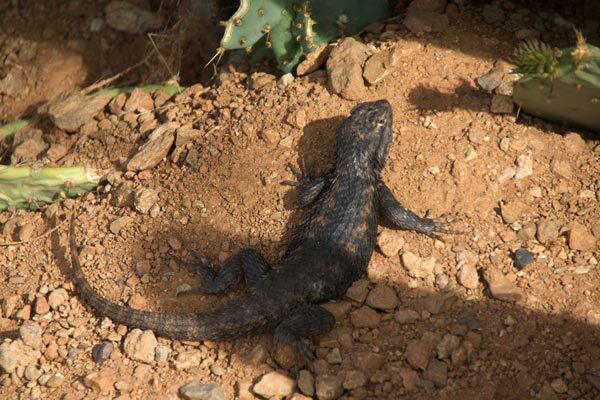 This large and colorful individual was one of many we saw scrambling about in the desert landscaping of this hotel. Since the hotel irrigates its grounds, it is a resort destination not just for human visitors but for all sorts of local wildlife as well, including dozens and dozens of desert cottontail rabbits. 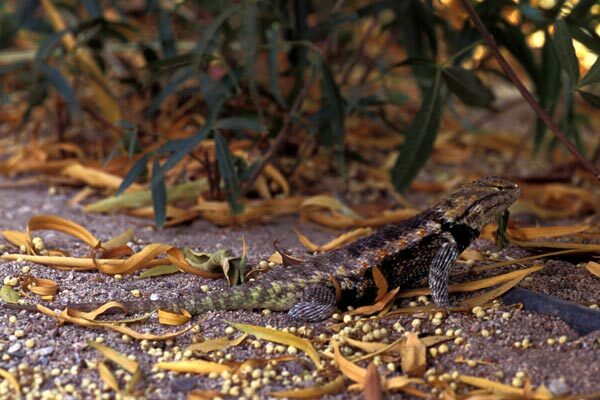 This fat and happy spiny lizard had taken up residence a few feet from the front entrance to the Organ Pipe National Monument visitors center. 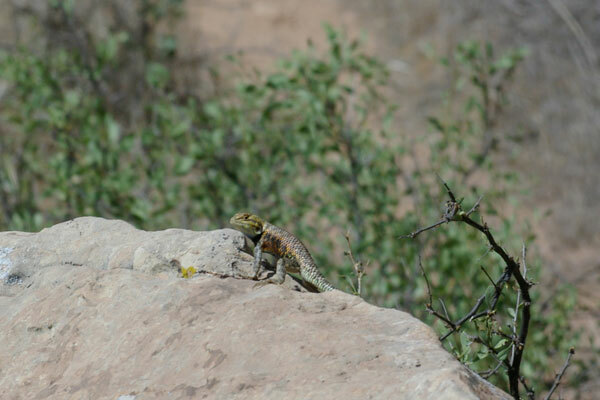 The first spiny lizard pictured here was one of the most colorful S. magister I've ever seen. Unfortunately, it got spooked and ran into a crevice after a couple of long-distance photos. I didn't see any other beautiful large adults like that one, but I did see several youngsters like the one in the second photo. 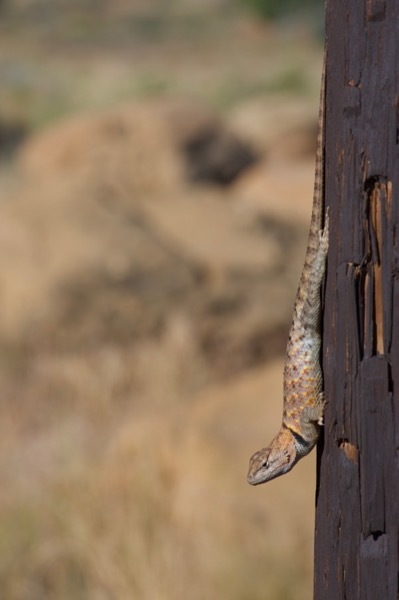 I don't know how this spiny lizard got five feet up on the side of a Saguaro. 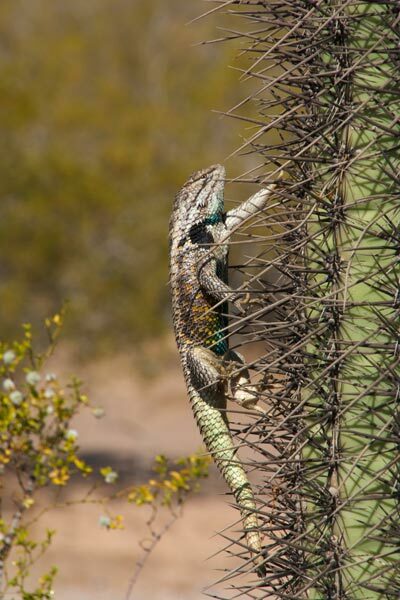 I don't know why this spiny lizard got five feet up on the side of a Saguaro. 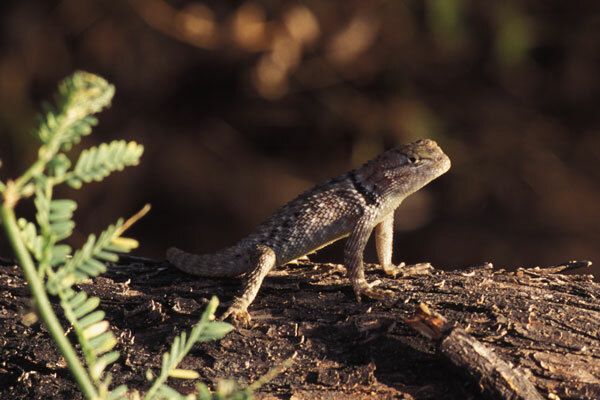 But I do know that this is the studliest spiny lizard I've ever seen. We stayed for a week and a half in the Desert Trails RV Park, adjacent to Tucson Mountain Park and close to Saguaro National Park West. 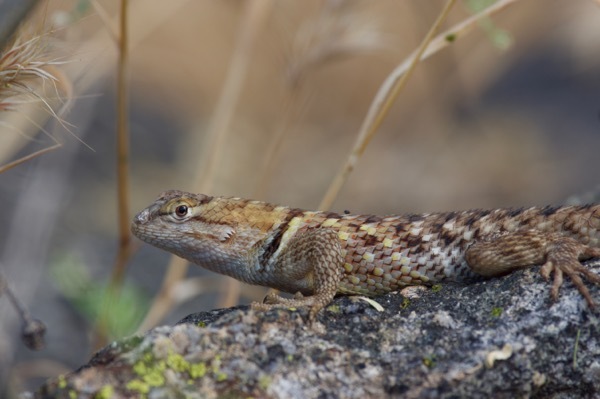 Its proximity to the Sonoran desert make it a fine base for herping adventures. 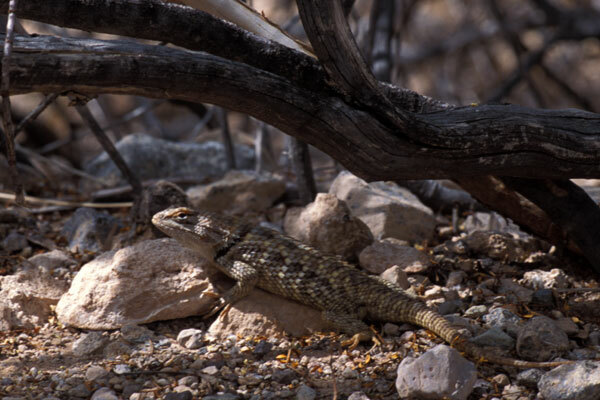 This big spiny lizard was one of many making their homes on the grounds of the RV park itself. This one seems to be posing nicely, but in person it was quite skittish and I only got this one photo from quite a distance, through some foliage, with a 300mm lens. Every natural area feels more inviting when a lizard festoons its parking lot's signposts.